April 7, 2018 – Four years after releasing its first single malt Swedish whiskies, Box Distillery will be changing its name to High Coast Distillery – for both the facility and its whiskies. The distillery announced its name change in a Swedish-language news release Friday, indicating that concerns raised by John Glaser’s Compass Box Whisky Company over possible confusion between the two companies led to the decision. Box marketing director Jan Groth confirmed the decision in an email Saturday, and issued an English translation of the news release Tuesday. The new name comes from Box’s location in Adalen on the High Coast of northeastern Sweden. 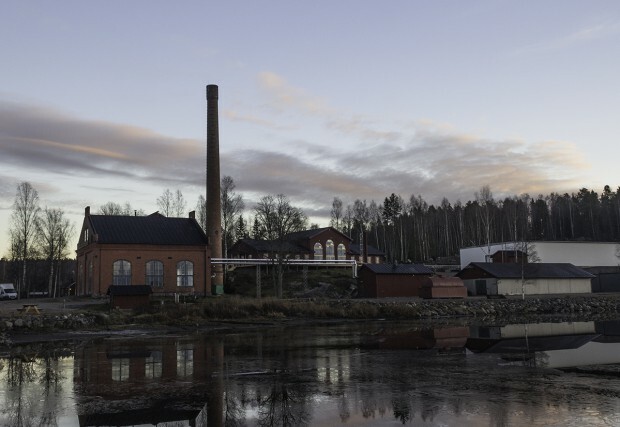 The distillery is located on the banks of the Ångermanälven River in the building that housed the power plant for the old Box AB wooden box factory, which is where the original name came from. According to the Swedish-language news release, the name change will take effect at the distillery’s annual whisky festival scheduled for the weekend of June 30-31, with the first High Coast-branded whiskies to be released this autumn. The region is one of Sweden’s more popular tourism areas, and the name change is likely to help reinforce the distillery’s connection with the area. Box had already been referring to the High Coast in its promotional material and on some of its labels as “High Coast” whiskies. The distillery’s most recent release, the Quercus II Alba, was unveiled several weeks ago and is now available at retailers in limited amounts. When reached by email, Compass Box founder John Glaser declined to comment on the Box Distillery claims. Box/High Coast has been more active in the export market, and that may have been responsible for some of Compass Box’s concern over confusion between the two. This story will be updated with more information as necessary.